When Spain’s Crown Prince Felipe ascends to the throne tonight at midnight, the celebration is going to be low key and low cost. With Spain’s unemployment rate now at 26 percent, the current king taking heat over an expensive safari vacation, and public calls to abolish the monarchy altogether because of the cost, Felipe and his wife, Letizia, apparently decided that this season frugal=smart. By royal standards, it’s humble: reception guests will be served hot and cold tapas-style nibbles, which they will eat while standing. There will be no champagne, just sparkling cava wine from Spain’s Catalonia region. This could be the beginning of a tasty tapas reception trend. Everyone keep an eye out for the menu. If we find it, maybe we’ll try a kosher-fied version, like we did with Will and Kate‘s wedding morning reception. Cake and mason jars — two wedding staples that come together to create a lot of fun. You can find recipes for different flavors of jar cupcakes around, but Sarah Jill offers one of the most colorful and simple versions. Six-ounce mason jars would yield a nice serving size for a backyard wedding. Thanks, Sarah Jill! Create a punch based on your favorite flavors. Or the season. Local favorites. Venue. Wedding colors. More details at Food52. Go on, get mixing! Or see this Vintage Champagne Wedding Punch Recipe. 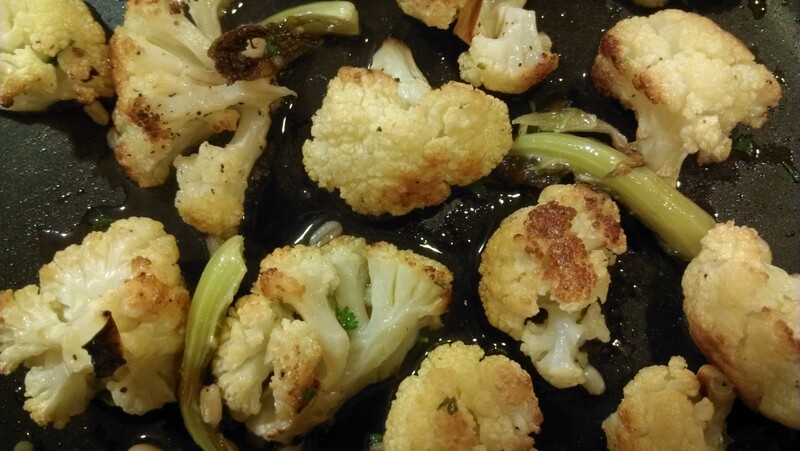 Does Your Caterer Know How Hot Cauliflower Is Right Now? Cauliflower is hot right now. This month’s Bon Appetit Magazine says so, and I believe them. At least I want to believe them because cauliflower works so much better in a wedding menu than kale. On this blog we’re especially mindful of folks planning small weddings and doing a lot of the work themselves. The cauliflower-barley-bean combo would work great for a self-catered affair since all the components can be made ahead and mixed just before serving. Reheat or serve cold. For a plated meal or buffet. Cauliflower, no wonder you’re getting so much love. Have you ever noticed that when you cut a strawberry in half it looks like a heart? That alone should earn strawberries a place in your Valentine’s Day or summer wedding menu. Then there’s the flavor. Infuse cupcakes with that sweet strawberry goodness by simply adding a cup of pureed fresh strawberries to boxed vanilla cake mix batter. 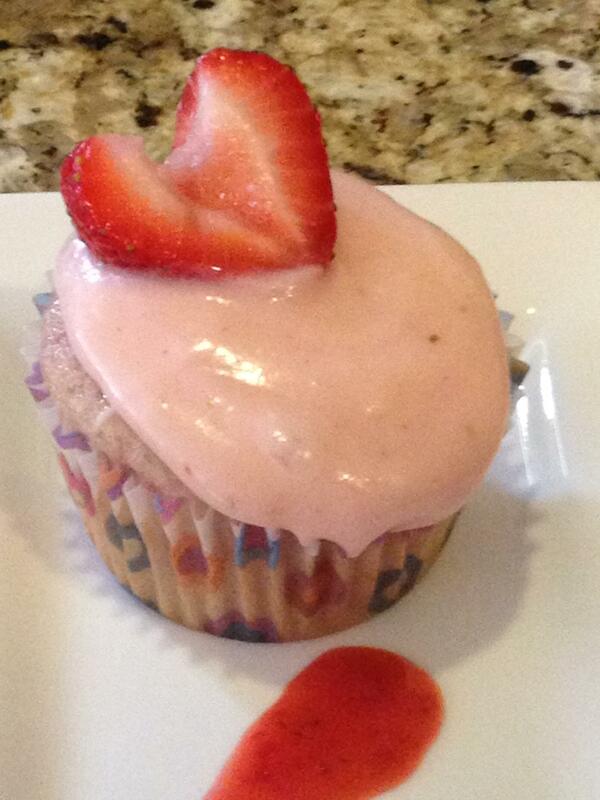 Top with a strawberry glaze. Take a look at that cupcake: perfect for a shabby chic, farm, or picnic theme, or any summer backyard wedding reception. Blend the first three ingredients together in a large bowl. Gradually add the sugar while mixing the glaze. 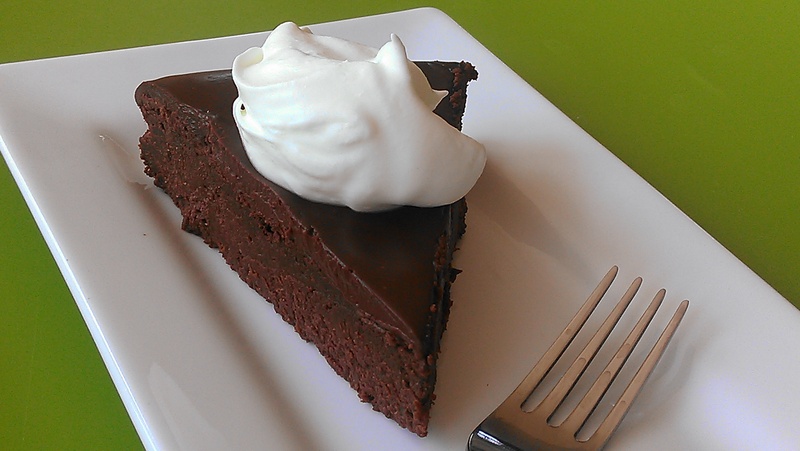 A slice of flourless chocolate cake. And yeah, it was really good. Having a small guest list means that the people who made the cut must be pretty special. It also enables you to be adventurous with your wedding menu. Flourless chocolate cake is a non-traditional but certain-to-be-appreciated wedding cake. Bonappetit.com serves up a recipe for this bête noire topped with chocolate ganache. It’s not only sophisticated and decadently delicious, but if you’re catering the wedding yourself, it’s one of the easiest cakes to make. Small weddings don’t need big dessert buffets. Simple can be celebratory. Start by choosing a wedding cake with personality. Then add a second, complimentary dessert to the plate. Think seasonal fruits, home made ice-creams, sherbert, refined cookies, and the many manifestations of chocolate. 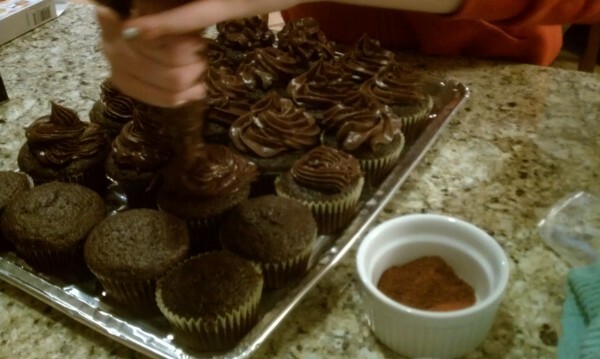 Chocolate cupcakes with chili chocolate frosting. 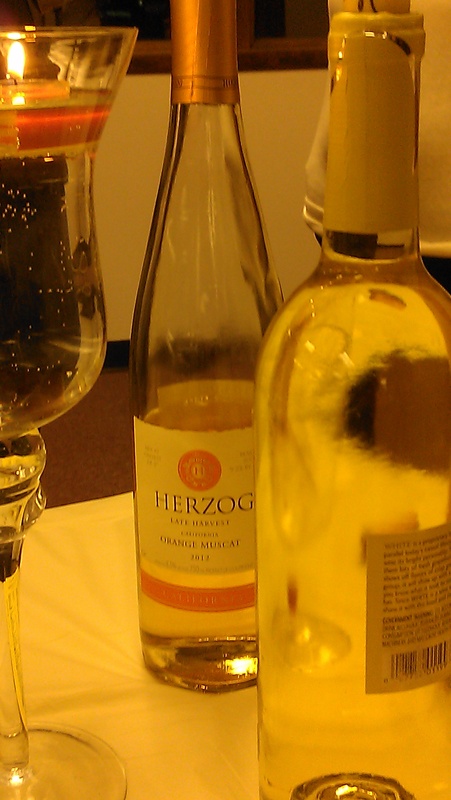 Thinking of another great pairing? Share it in the comment section! How Big of a Wedding Cake Do I Need? Guest blogger: Agnes Goldrich, Age 14. As the resident baker in the Bywater family, I recommend these chili chocolate cupcakes for a wedding cupcake buffet (or a great dessert for your Mom’s birthday). Also, I’m told they go well with champagne. Baking tip: When baking the cupcakes, fill the cupcake pan liners a little more than 2/3 full. You’ll only get 20 cupcakes instead of 24, but the cupcakes will be a nicer size. Add powdered sugar, milk, cinnamon, chili powder, vanilla, and cayenne pepper. Beat until fluffy. Add bittersweet chocolate and beat until blended. One big plus of moving Huppahs.com to New York has been finding out about HE’BREW beer, a line of great-tasting kosher craft beers. If you want to offer your wedding guests something different at the bar and give the beer lovers in the crowd something they’ll appreciate, serve up some Origin Pomegranate Ale, Hop Manna, Messiah Brown Nut Ale, or one of the line’s other amusingly-named but seriously good brews. I don’t have the beer vocabulary to even bluff at describing the tastes, but one reviewer who presumably does have that vocabulary was reduced to the word “WOW.” In the 2011/2012 World Beer Championships, where HE’BREW’s maker, Shmaltz Brewing, entered fourteen beers, nine of their beers won gold medals and five won silver. It’s good beer. HE’BREW beers are brewed in upstate New York, but you can find them in more than thirty states (as well as extremely selected locations in Canada, Australia, and Japan). A newer line of Coney Island Craft Lagers is available through a more limited number of outlets. Shmaltz Brewing’s website provides helpful lists of wholesalers, shops and bars that carry its products. Generally, an unflavored beer made with only water, barley, yeast, and hops, without any additives, will be kosher even without certification (for this information, I go to Orthodox-Jews.com). But when you want to get at all adventurous with taste and still keep kosher, you have to look for certification. HE’BREW beers are certified by the Orthodox-grade Kosher Supervision of America. I raise my glass to the folks at Shmaltz Brewing Company for advancing the art of beer for the rest of us to enjoy and impress our guests. These pears work for both elegant and rustic menus. Add homemade berry sauce and serve them as an accompaniment to a slice of light wedding cake or as a side dish for a wedding brunch. Today my daughters and I packed a brunch and brought it to my parents’ house to celebrate their wedding anniversary. The planned menu included poached pears, but last night, when I should have started the poaching, I hung out with a bunch of brothers and sisters and in-laws instead, talking about, among other things, Bill’s latest ice sculptures. So this morning, my daughters and I prepared the pears by baking them. The prep for baked pears is less fussy and less time-consuming than than for poaching, which makes them an appealing dish not just for easy-going family weekends, but for small self-catered weddings, too. Serve these baked pear halves with a slice of light wedding cake and homemade berry sauce for a complete wedding dessert, or include them as a side dish for an autumn or early winter wedding brunch. We’ll make the berry sauce recipe our next post. BTW, here’s a pic of the Hanukkiah ice sculpture Bill carved today during a demonstration at Yeshiva Rabbi Samson Raphael Hirsch in Manhattan. Lightly spray the bottom of two 9″x13″ baking pans with cooking oil. Cut pears in half, cut out the core, and peel the pears. Make 4 slices in each pear half, stopping about a quarter inch from the narrow end of the pear. Optional: Make four slices in each pear half, stopping about ¼” from the small end. This will enable you to fan out the slices on the plate when you serve it. Or leave the halves unsliced for a more rustic presentation. Place the pears flat side down in the baking pans. Mix the melted butter, honey and spices. Drizzle the mixture over the pears. Cover the pans and bake for 40 minutes or until the pears are tender. The pears can be stored overnight, covered, in the refrigerator. Happy anniversary, Will and Kate. To celebrate, I’m reposting Backyard Huppah’s kosher-fied version of the canapè reception Queen Elizabeth hosted for the royal couple following their wedding — and I’ve included recipes. You can use this menu for your own hors d’oeuvre reception or cocktail hour. We’ve pared the number of canapes down from 23 to nine, creating a nice selection of savory and sweet, meat and parve, non-dairy and vegan. Most of the recipes have friendly make-ahead options for a self-catered affair for forty people, though you will need kitchen and serving help on the day. If you’re feeling really nostalgic for the royal wedding, take a look back at William and Kate’s original wedding day canape reception menu. If your guests aren’t in the mood to celebrate before they have a sip of this fruity pomegranate sangria, they will be after. As presented, the recipe makes up to 15 servings, but you can easily prepare a few batches to satisfy the guests at an intimate backyard or apartment balcony wedding. Huppahs.com thanks Marlene, the founder and creative force behind The Jewish Hostess (thejewishhostess.com) for allowing us to share this recipe with you here. 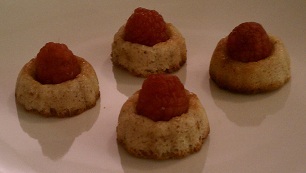 The recipe was originally submitted to The Jewish Hostess by Joy Betesh, so a big thanks to Joy, too! Have you ever seeded a pomegranate? If you have, you know it can be a tricky, messy business. The Jewish Hostess provides tips and a video at How to Seed a Pomegranate for Rosh Hashanah: Two Techniques. In a heavy saucepan, combine water, sugar, cloves, cinnamon stick, star anise and split vanilla pod. Bring to a rapid boil over medium-high heat, then reduce to a low heat and simmer, uncovered, about 15 minutes to dissolve sugar and create a thin syrup. Turn off heat and let sit 20 minutes to cool to room temperature and to allow the ingredients to marinate. Strain over fine mesh strainer into a large punch bowl or pitcher. 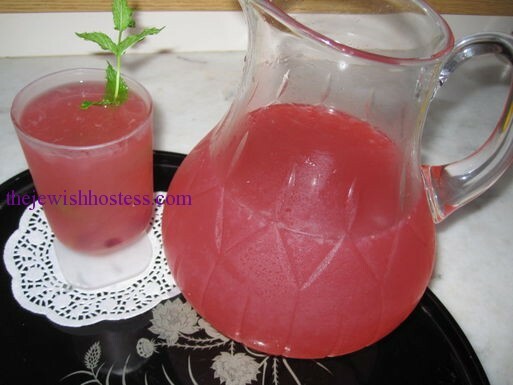 Pour in chilled wine, pomegranate juice, and lime juice. Mix well. Add pomegranate seeds, orange, and lemon slices and mix again. Serve in glasses with a sprig of fresh mint and 1 or 2 cubes of ice in each. 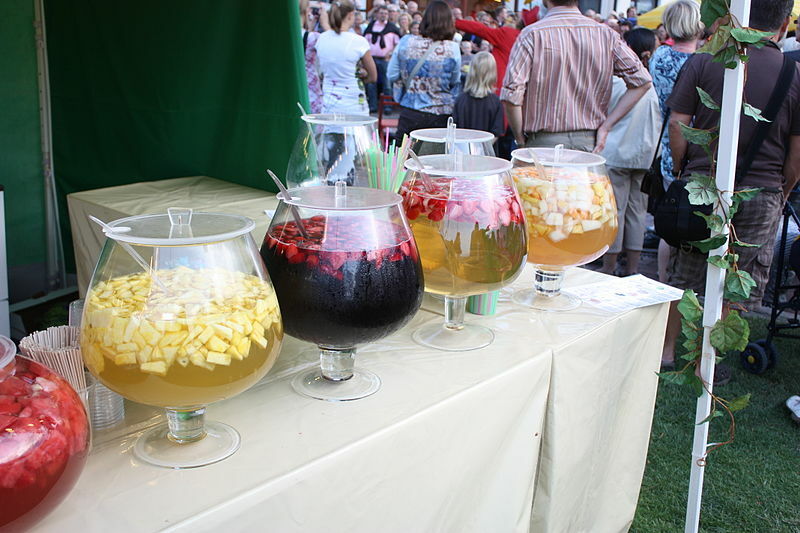 You can prepare the sangria through step 4 the day before serving, even letting the mix marinate more than 20 minutes before straining it. Keep the strained punch in the refrigerator overnight. 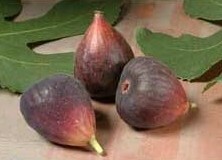 Add the remaining ingredients as the time for serving approaches.